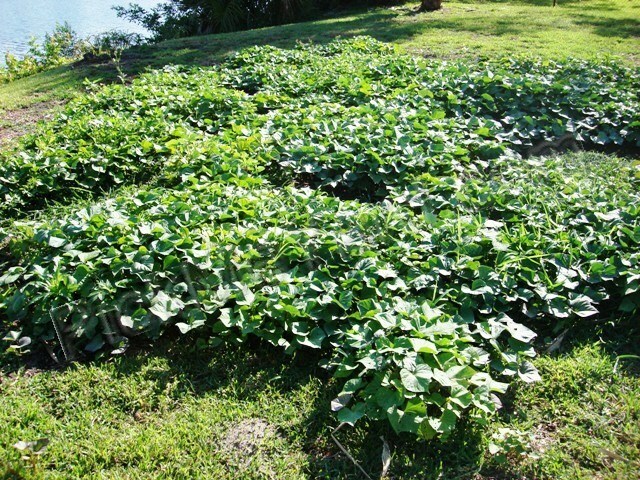 This entry was posted on April 27, 2012 at 11:20 am and is filed under edible leaves with tags are sweet potato leaves edible, big sweet pototoes, Boniato sweet potato, goat garden, Growing sweet potatoes in Southwest Florida, harvesting sweet potatoes, how to cure sweet potatoes, how to eat sweet potato leaves, how to start a sweet potato, sweet poetato, sweet potato pests, varieties of sweet potato. You can follow any responses to this entry through the RSS 2.0 feed. You can leave a response, or trackback from your own site. You have THE BEST childhood stories! I really want to hear more of them. Can you write a book or a blog? I’m collecting pictures of iguanas so I can write a post about your AMAZING childhood adventures with them! I’ve never forgotten that story… it has to be told. Found your site looking for info on elderberries. Had lots of good luck with those. 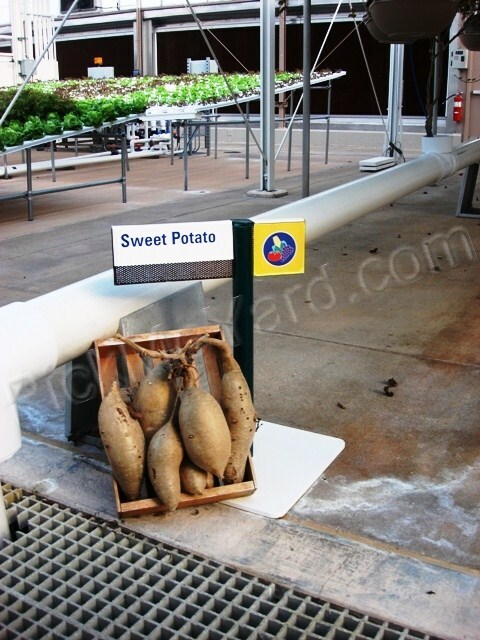 Reading your sweet potato entry I wondered if you’ve tried the 100# grown in 4 sq. feet method. I saw it on line for reg. 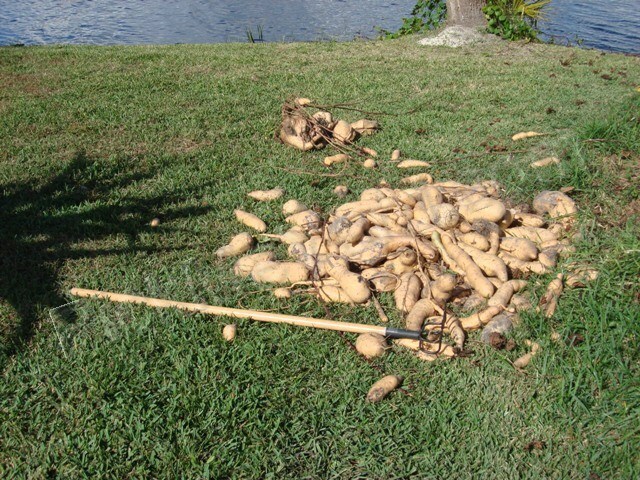 potatoes and have wondered if that would work for sweet potatoes given our SW Florida heat. Thank you so very much. I hope you will stop by again. 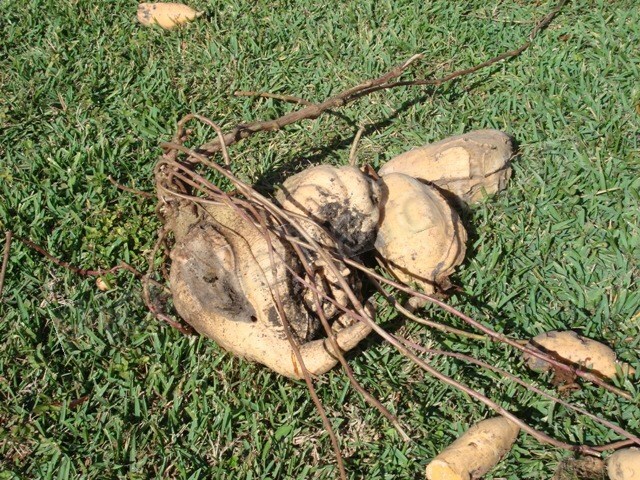 Hi, I just wanted to know whether my sweet potato is still edible after it’s grown out vines? I’ve had a sweet potato sitting in my pantry for a weeks if not more, and now its got vines growing out of it, so I was a bit concerned that perhaps its past its eating stage and now no longer safely edible? 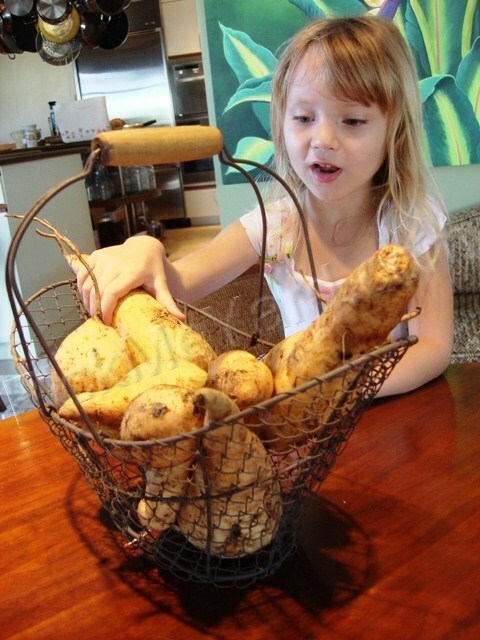 When do you plant your sweet potatoes? I live in Tampa Bay. Sarah, I don’t follow the rules of gardening too well. I’m a rebel gardener. I have lots of sweet potatoes growing now. I’ve been growing them all year. Some winters are warm for us and sometimes we have hard freezes. It can be frustrating. I always keep a cutting in a warm place just in case. 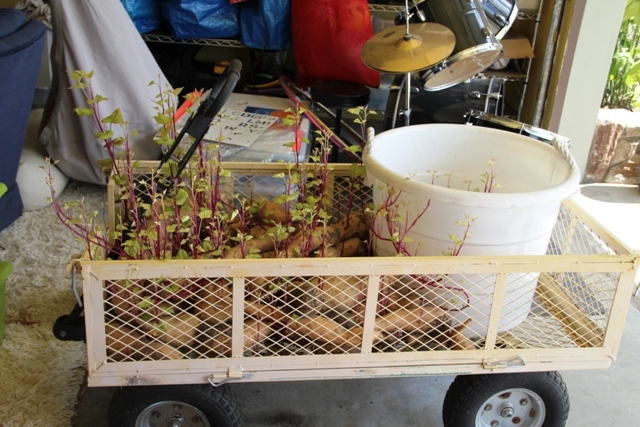 The good news is that sweet potatoes are easy to grow here…almost invasive if you let them go. Hey there! 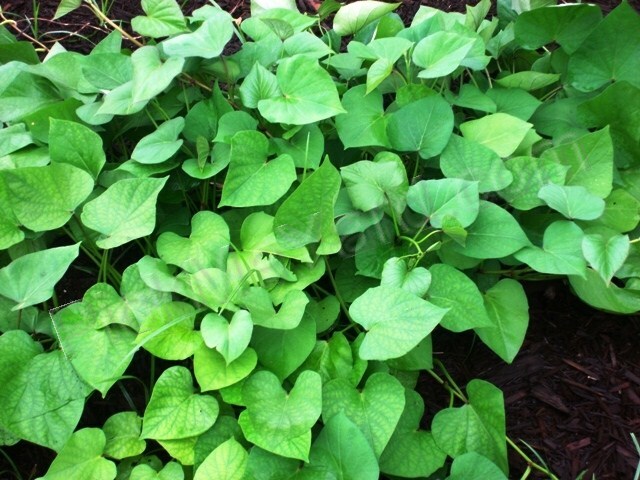 Where can I find sweet potatoes to plant- do I just grab one from the store and let it go to seed? 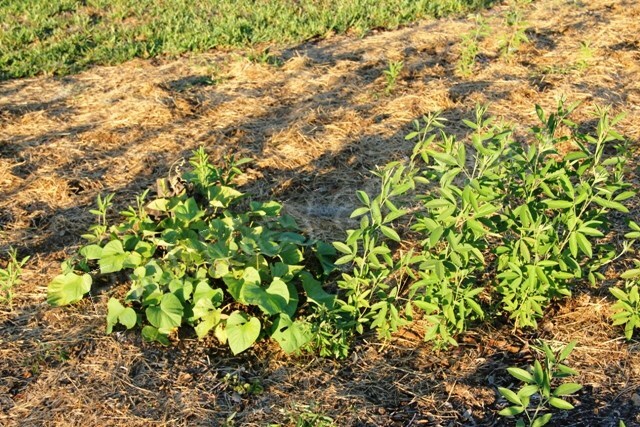 I am slowly turning my Sanibel yard into food forest- your blog gives me so much inspiration (and information!) thank you. A couple of more questions- have you tried peanuts? Also, have you tried composting with black soldier flies? The larvae are fantastic protein for your hens. If you guys come out to Sanibel, would love to meet and share my garden with you! never have i seen anything so beautiful except when i was growing up in my parents house. I’m a little worried about eating the leaves. Some say they are not good for you. We live in the Rocky Mountains, and our summers are not always long. Falls can still be warm, or it can snow. We tried sweet potatoes last year for the first time, the plants were great, but the crop yielded us one tiny potato, about two inches long and half an inch wide. We wanted to give it another try so we planted again this year. The blossoms have come on late. Here it is the middle of September and they are just blossoming. How long does it take to grow a mature potato?